Two days ago I received an envelope full of pictures from my son, Christian, who lives in Communita Cenacolo in St. Augustine, Florida. This was the first time since Christian entered Community four years ago that he sent pictures home! It took me a moment to grasp what I was seeing, but then I remembered. He is in charge of the garden. The pictures he sent captured the fruit of his work. 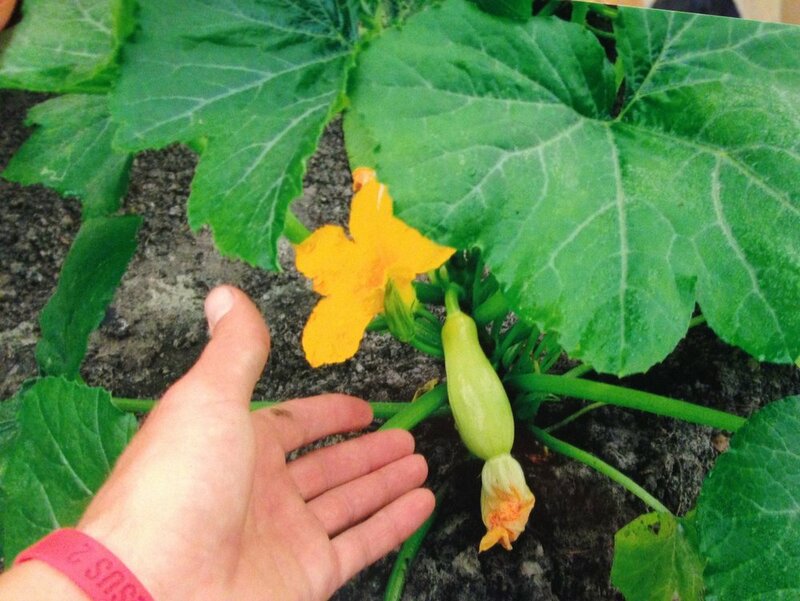 Christian had told me about the garden during the Spring Retreat in March, when he shared his excitement about how abundantly the crops were already growing. Tomatoes, watermelons, green beans and lettuce—just a sampling of the fruits and vegetables that provide delicious, nutritious meals for men and women in three Community houses. I can think of no better way for my son to have spent the last four years of his life than living in Community. I’m convinced that no college education nor work experience could have been as beneficial or taught him as much as learning to cultivate both the gardens of Community and his own soul. I personally love to garden, and I’ve learned much over the years about what it takes to produce a beautiful crop of flowers. The sweat of my brow, and considerable trial and error, have brought forth plants that have bloomed splendidly, as well as plants that have died from scorching sun, poor irrigation, and diseases that sprung up, seemingly overnight. The garden has taught me many lessons, such as the fact that steadfast care and consistent effort are necessary if the blooms are ever going to come--just like with prayer. I’ve also learned that while a hard freeze destroys some plants, it actually does others good, as many of the trees and plants in our garden testify to this year, coming back with new vibrancy after a harsh, bitter winter—just like a beautiful soul after an intense period of suffering. One of the most important lessons I’ve learned from the garden is that its silence provides a profound opportunity to be present God and to oneself. I am watching gratefully as that wisdom is imparted to my son as the seasons pass and he tills the soil perseveringly, transforming what used to be a penance into a labor of love—and what used to be a wasteland into fertile, holy ground, ready, willing and able to bear fruit. “The ruins shall be rebuilt; the desolate land shall be tilled...This desolate land has been made into a garden” (Ez. 37:34,35). Such is God’s promise when we turn to Him and trust Him to rebuild us from the ground up. After all, it is He who is the true master gardener, the tiller of the soul.